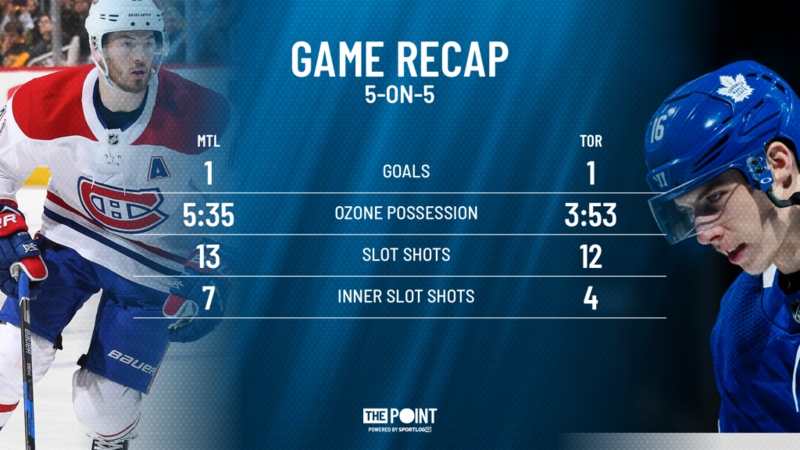 MTL vs TOR: Game Recap - The Point Data-driven hockey storytelling that gets right to the point. 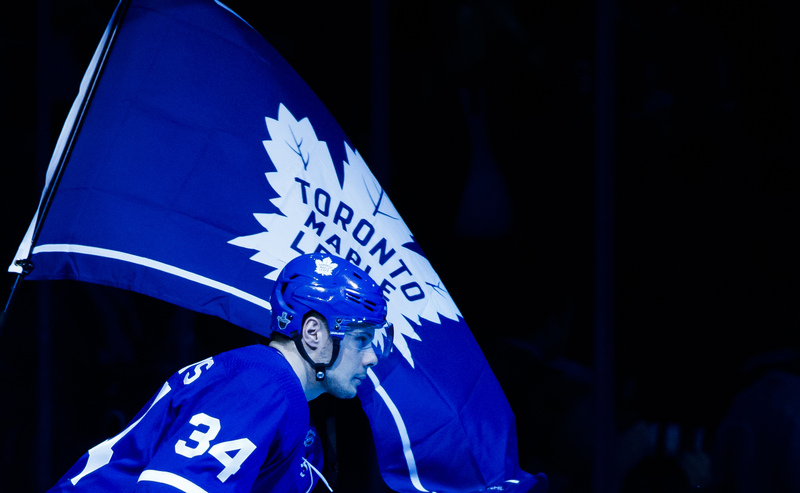 The first game of the NHL season should have both Canadiens and Maple Leafs fans in a good mood. For Montreal, a team who we think will surprise some people this season, it played the Stanley Cup favourite Maple Leafs close and stole a point on the road. For the Leafs, an OT win with goals from their two biggest superstars, including hometown hero, John Tavares. Tavares scored the Leafs 2nd goal of the game but it was Auston Matthews who opened the scoring and won the game in overtime, Matthews now as 7 goals in 3 career opening night games. The Canadiens played with speed and pace, were harder on the puck and won more battles. As a result, at even-strength, they got the better of the Leafs in a number of key areas including offensive zone possession and inner slot shots on net. Tavares spoke about not getting enough zone time against the Habs, saying, “I don’t think we played our best. I don’t think we played in their zone as much as we’d like to but they competed and they skated well.” Tavares, for his part, had the puck in the attacking end for 33 seconds, down from the 47 seconds per game he averaged last season. However, when he had the puck, he made the most of his opportunities, scoring and registering 3 slot shots on net. 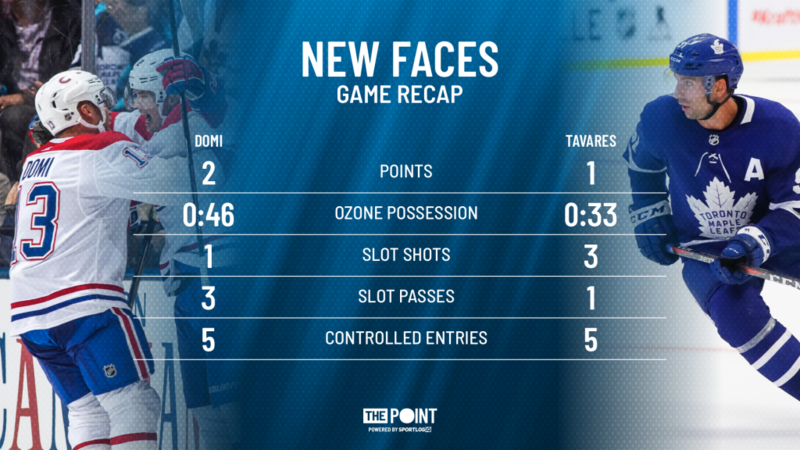 Tavares wasn’t the only new face in a new place to make an impact in the game. Max Domi was buzzing and finished the game with a pair of assists. Domi created just as much from the house as Tavares albeit in more of a playmaking sense. Plenty to build on, positive and negative, for both teams.